The Heartbreakers have evolved distinctly throughout their 30+ years of recording together. Listening to their catalog from the beginning to the present, one travels from an era of short, punchy garage-rock tunes in the 1970s, to the laid-back pop hits of the Jeff Lynne era, to their current period of meditative rock planted firmly in the band’s primordial roots. It’s a natural progression, what with Petty’s lament of modern music with the Last DJ in 2002, his efforts to keep ’60s and ’70s-era classic rock alive through his Buried Treasure radio show, the success of last year’s Live Anthology, and a rapidly decentralizing music industry that’s no longer ruled by the gatekeepers of Top 40 radio. It almost seems that Mojo just… had to be. If Mudcrutch was Petty’s country album, Mojo is his foray into blues recording (sprinkled with a little psychedelia and reggae to taste). Like Mudcrutch, Mojo is freewheeling, high-energy, and upbeat, and prone to a little jam session here and there — which would have been unthinkable in the days of the neatly-trimmed Full Moon Fever or Into the Great Wide Open. 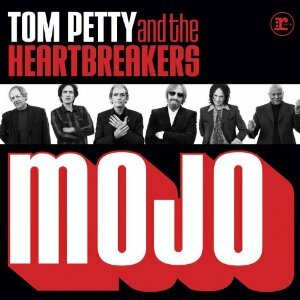 Without a single bad song in the mix, Mojo is a cohesive album you can listen to from beginning to end. Personally, I am digging latter-day Tom Petty. The band is as good as they’ve ever been, and each member seems to have increasing freedom to showcase their immense instrumental talents and unrivaled ability to complement one another. Mike Campbell’s guitar is on fire through the whole album, and Scott Thurston breaks out of his shell with fine blues harmonica on several tracks. As a departure from the past musical stylings that made the band successful, Mojo will certainly raise some eyebrows and not be to everyone’s liking. Frankly, I think that’s a good thing. These guys aren’t trained monkeys paid to crank out the same songs over and over again. They’re world-class musicians, and they deserve the chance to breathe a little. Play on, boys.